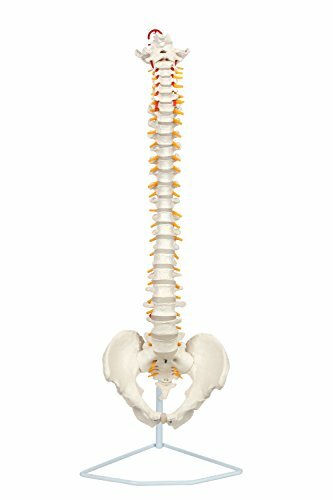 Highly detailed, life-size model shows all significant features for each vertebra, including vertebral body, spinous and transverse processes, vertebral notch and spinal canal. Features complete pelvis, sacrum, occipital bone, vertebral artery and nerve branches. Herniated disc between the 4th and 5th lumbar vertebrae. Ideal teaching model for students, for patient education by chiropractors, orthopedic surgeons and other medical professionals, and for company health programs on lifting and bending. 2-part stand included. Size: Spine 29" tall, stand 34 1/2". This detailed, fascinating anatomical model from Axis Scientific offers serious flexibility when it comes to studying. This life sized model is fully flexible, and designed for years of use by professionals and medical students alike. It offers a tremendous amount of detail, and the features of each vertebra are visible. 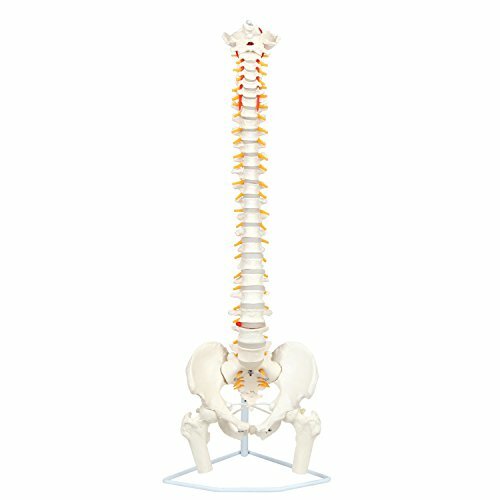 This premium spine model is designed with a durable core, making it ideal for repeated bending and positioning. It will also hold positions. This spine also features detachable femur heads. These realistic bones attach with a simple elastic cord, and, once attached, can hold positions. A prolapsed disc is displayed at L3/L4, and spinal nerve exits are clearly visible. Axis Scientific was created with medical professionals and students in mind. Cost effective and detailed, these models are built to last, and are sure to be your go-to for patient education, as well. Includes durable metal stand for easy and attractive display. Spine measures 31" end to end. When displayed, the combined height of stand and spine is 34". Item weighs approx 7 lbs. Made by Axis Scientific and backed by a 3 year warranty. 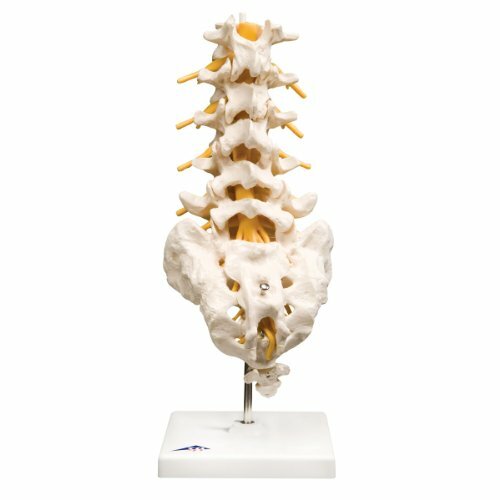 Show patients how their body works, demonstrate correct lifting and bending at work, and study for exams at home with the MonMed | Anatomy Spine Model. 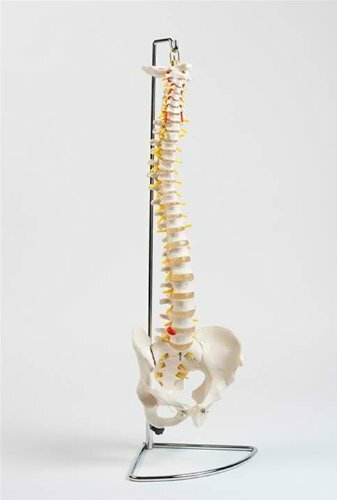 This life-size spinal model shows anatomically correct features of each vertebra including vertebral body, spinous and transverse processes, vertebral notch, and spinal canal. It also includes facet joints, vertebral artery, nerve branches, a herniated disc between the 4th and 5th lumbar vertebrae, a complete pelvis, sacrum, and occipital bone. 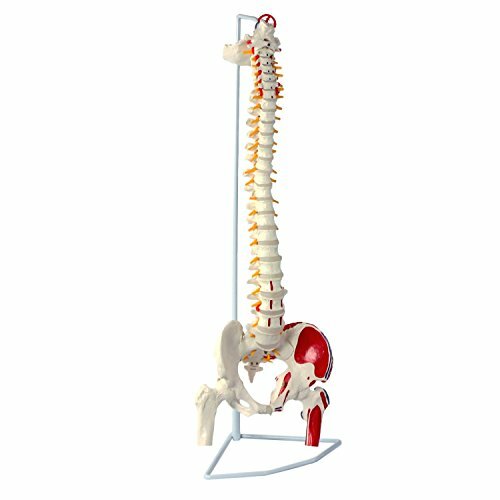 The spinal column model includes a 34.75-inch (88.3cm) tall metal stand and 360-degree pivot hook that allows you to position the model at different angles. 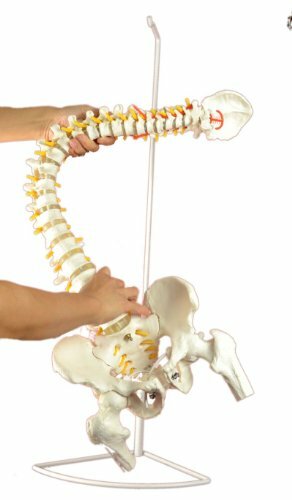 The entire structure is flexible, so you can show various forms of movement or how certain conditions may impact the spine. WARNING: This product can expose you to chemicals which is [are] known to the State of California to cause cancer and birth defects or other reproductive harm. For more information go to www.P65Warnings.ca.gov. The human lumbar spinal column Consists of the 5 lumbar vertebrae with intervertebral discs sacrum with flap coccyx spinal nerves and dura mater of spinal cord. 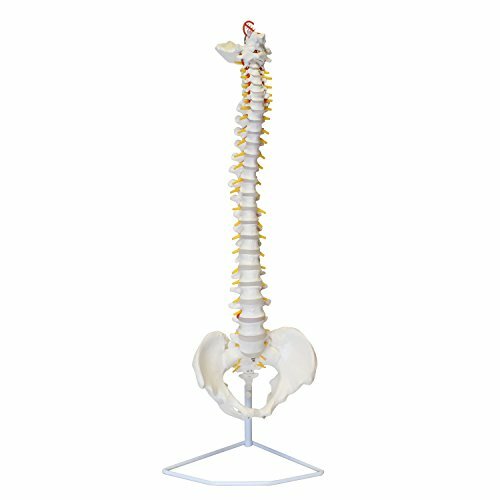 This high quality spinal replica has accurate anatomical detail for use in any anatomy classroom. The lumbar spinal column is delivered on flexible stand. 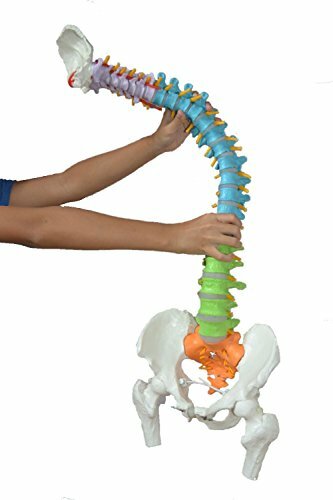 Shopping Results for "Flexible Spine"